Brian Lawrence ‘Bill’ Burtt (1913-2008) began his career as a taxonomist at Kew Gardens, before coming to the Royal Botanic Garden Edinburgh (RBGE) in 1951. Throughout the course of his career he was influential in the development of RBGE as an institution, overseeing new research programmes and academic publications. Burtt’s collecting interests were largely in Sarawak, Mayasia where he undertook five trips between 1962 and 1978 (Weber and Noltie 2008). These trips were instrumental in developing scientific knowledge about Malaysian botany. Many of the plants which Burtt brought back are now kept at RBGE as living plants, or preserved specimens. This post explores some of the story behind how the plants were collected, and the people involved in their collection. During his collecting trips to Sarawak, Burtt met and worked with a large number of local people from a variety of ethnic groups. As it is not clear from the plant samples or photographs which groups were specifically involved with Burtt, they will be referred to as ‘local’. However, the people with whom Burtt worked will have come from a variety of ethnic groups with diverse cultural backgrounds and ways of life. These local people were essential to the success of Burtt’s collecting, but are often unrecognised in herbarium or archival records. They hosted Burtt and his collecting companions in their village longhouses, before setting out on their collecting expeditions. Local people were also hired as guides and porters. The Sarawak mountains have rough, forested terrain, and although Burtt had maps, they were often incomplete or inaccurate. In order to navigate the mountains, Burtt needed the knowledge and skills of the people who lived there. The presence of local people is evident in photographs taken during Burtt’s collecting trips to Sarawak. In this picture, two local people can be seen paddling a boat along a river in Kapit, Sarawak. Boats were necessary to reach many of the places where Burtt wanted to collect, and local skills in navigating the river were essential. Boats were also needed to transport food, equipment, and plant specimens. Almost all of the plants which Burtt collected from Sarawak will have travelled on a boat like this, paddled by local people with the skills to navigate the fast flowing rivers. However, plants and equipment did not just need to be moved by river, but also through the steep mountains and forests of Sarawak, by foot. Local people were also essential to this transport, carrying large rucksacks for Burtt and his companions. 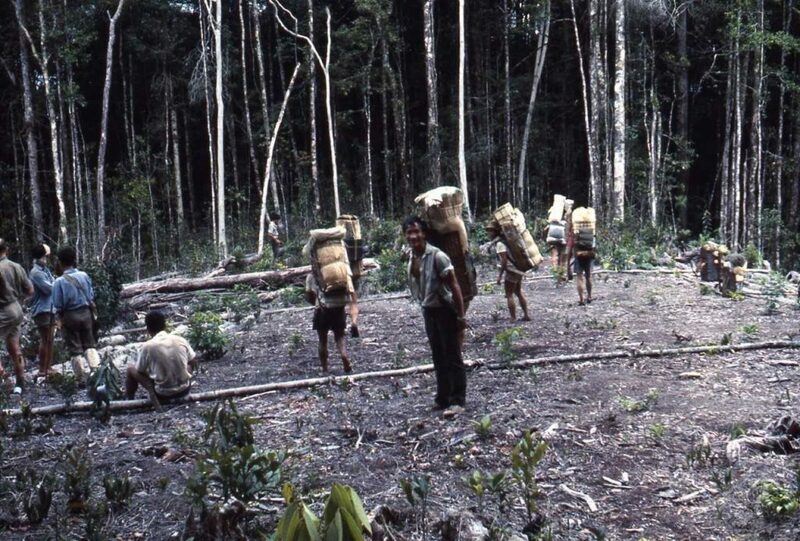 Porters with rucksacks of supplies for living and collecting in the field can be seen in this photograph. 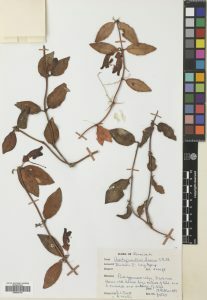 Amongst the contents of porters’ rucksacks were the plant specimens to be brought back to RBGE, such as the two pictured below. These specimens were amongst approximately 480 specimens collected by Burtt and Martin between July and October 1967, most of which would have been transported by local people on foot or by river at some point in their journey from Sarawak to Edinburgh. The Burbidgea stenatha Ridl (Fig. 3) is recorded as having been collected on cliffs below Bukit Nabong , ‘pendulous from rock face’. The Zingiber pachysiphon B.L.Burtt & R.M.Sm (Fig. 4) was found ‘on top of rock in forest’. These labels demonstrate the diverse places and dramatic landscapes within which these plants were collected, and the kinds of terrain across which local porters carried the plant specimens. Local knowledge of plants, and skills like tree climbing were also used as part of Burtt’s collecting trips. Whilst identifying plants in scientific terms was Burtt’s role, locating and reaching the plants would have been shared by all of the people in the party. Part of a collecting party can be seen here, at the summit of Mount Murud, the highest mountain in Sarawak. 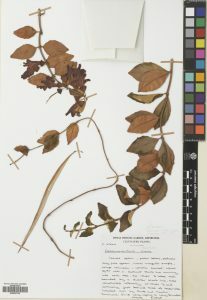 The herbarium specimen pictured left (Fig. 6) was collected on the photographed trip to the summit of Mount Murud in 1967. It has been identified as a holotype, the specimen used when a plant is scientifically described for the first time, serving as an example for future scientific study. This specimen was collected by Burtt and his companion Adam Martin. However, the collection and transportation of the specimen back to RBGE would not have been possible without local people, such as those pictured. Placing the herbarium specimens and the photographs side by side illustrates how Burtt, his collecting party, and local people from Sarawak were all part of the scientific processes of botany. Although he was accompanied by several skilled and experienced guides, Burtt’s collecting trips were physically demanding and exhausting. 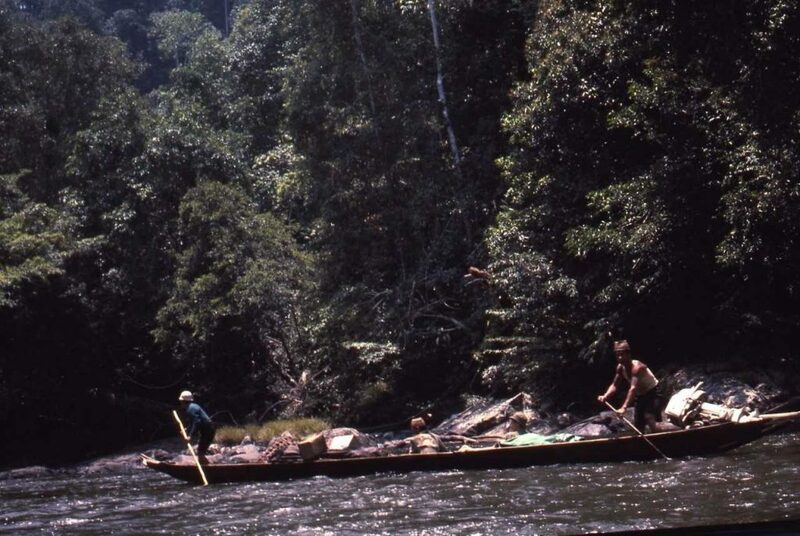 As well as navigating the difficult terrain of Sarawak, the process of collecting was also challenging. Whilst it is not evident when looking at well-ordered herbarium sheets, each plant specimen required the intense collecting of multiple plants to ensure that all parts of the plant could be represented. 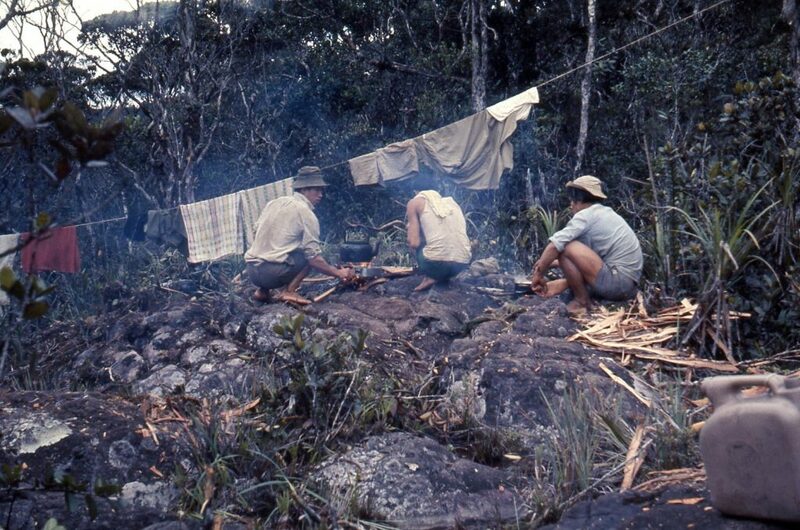 Keeping track of the plants collected, and making sure that they were appropriately stored and preserved was also difficult whilst living in temporary camps such as the camp on Mount Murud, pictured below (Fig. 7). Drying and pressing specimens for the herbarium had to be done outside, amongst the mundane tasks of washing clothes and cooking. This practical side of collecting was one which Burtt was keen to have known amongst those working with plant specimens at RBGE. His comments on the experience of Adam Martin in 1967 demonstrate the physical demands of plant collecting. For Burtt, the science of botany could not be separated from the intense experiences of field collecting. These experiences had to be combined with a deep knowledge of the landscape in which the plants were to be found. 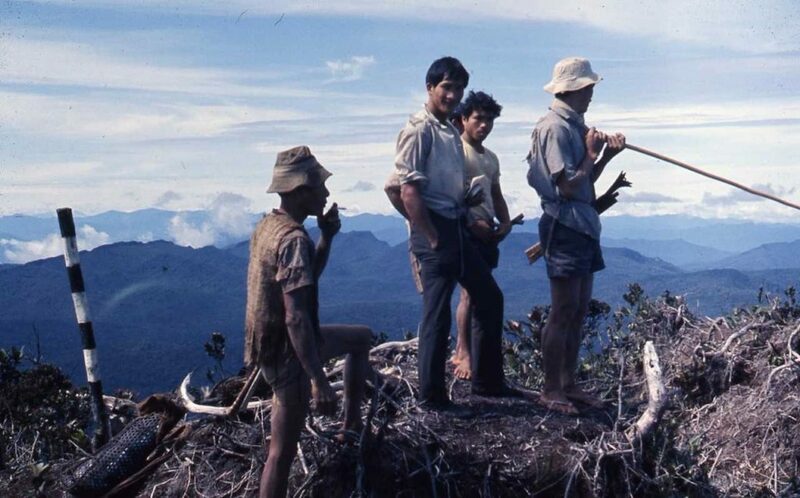 Burtt could not rely solely on maps, or existing knowledge, and therefore had to develop an intuitive and personal relationship with the Sarawak mountains in order to achieve his collecting goals. He returned to the same places more than once, to build an understanding of the plants in relation to the landscape. These two specimens (Figs. 8 and 9) were collected in very similar locations in the Melinau Gorge, thirteen years apart. They demonstrate Burtt’s lifelong dedication to collecting in particular areas in order to achieve the best understanding of their flora. Much of Burtt’s collecting was dependent on chance: which path the party chose at a fork, or how far Burtt was able to climb up a cliff. Therefore, any herbarium specimen is likely to come from a context of difficult physical and mental effort, chance encounter, or dedicated and persistent attempts to understand the landscape in which these plants grow. The specimens in the herbarium do not only represent Burtt’s scientific achievement, but the extent to which his life was entwined with collecting, and how his knowledge of Malaysian flora was derived from personal experience over many years. It is easy to separate these lived experiences of collecting from specimens in the herbarium collections which are clean, tidy and scientific. However, the process of living plants becoming scientific specimens was an essential part of everyday life when collecting in the field. Plants were not only preserved as dried specimens. They were also preserved in alcohol, and kept alive to be brought back to RBGE as living specimens. Burtt wrote in his 1967 report. Adam Martin established ‘gardens’ for the living plants at most of the camps and these were revisited and the plants lifted on the return journey. Under this treatment almost everything was happy. The camps were not only sites of preserving plants, but of caring for them so that they could form part of the garden in Edinburgh. Collecting and preserving the plants, therefore, required skills and equipment ranging from the ‘scientific’ such as alcohol, to the ‘natural’ planting of temporary gardens. 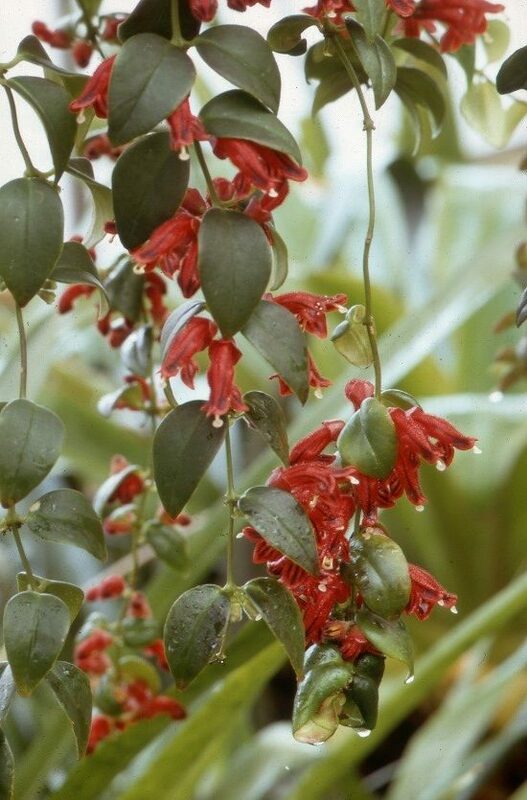 One plant which was preserved in almost all of these ways is the Aeschynanthus hians C.B.Clarke, which was collected by Burtt and Martin on 18th October 1967 near Long Ugong at an altitude of 5300 ft. Five different samples of the same plant are shown below, demonstrating the diverse ways in which Burtt’s collections have been incorporated into scientific study and records. 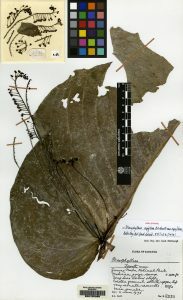 Figure 10 shows the herbarium sheet made from the specimen taken from the field in 1967. This sheet represents Burtt’s preservation of specimens in the field, dried on camp stoves before being pressed. field. 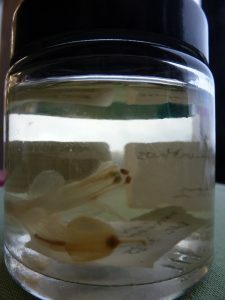 It also demonstrates that Burtt’s collections were not only collected, preserved and stored, but continued to form part of scientific study at RBGE. 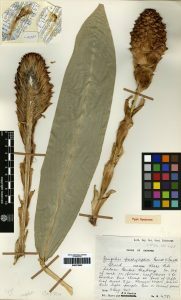 Figure 12 shows the flower of the plant preserved in alcohol as part of the RBGE spirit collection. This specimen demonstrates an additional way of preserving plants collected in the field. Physically, this specimen is larger and bulkier than the herbarium sheets, which allows us to imagine the specimens collected by Burtt as substantial cargo to be brought out of Sarawak in rucksacks and on small boats. 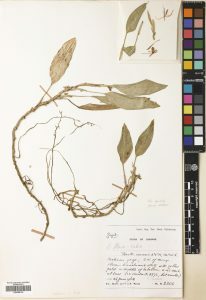 Figure 13 shows Burtt’s photograph of the living plant, likely taken shortly after it had been brought back to RBGE. 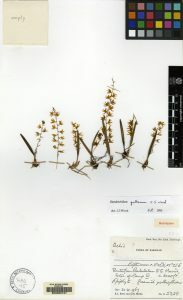 This archival photograph illustrates the colour and beauty of the plant that is onl y described in the herbarium sheets. By putting it beside the sheets, it is possible to imagine the plants that Burtt collected as colourful, scented, and textured. These are qualities which can be lost when looking at the herbarium sheets alone. Burtt’s collecting experience was a scientific enterprise, but it was also characterised by plants as real, living things. 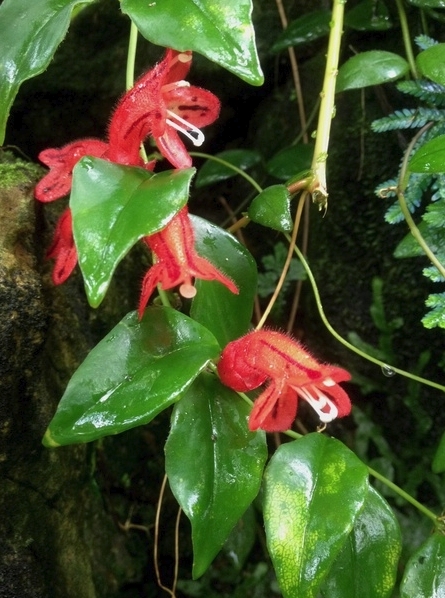 Figure 14 shows a photograph of the plant taken by a member of staff at RBGE in 2015. This record of the plant demonstrates the longevity of historically collected plants, and emphasises the relevance of Burtt’s collecting to RBGE today. This particular plant can still be found in the RBGE glasshouses. Taking together all of the specimens of Aeschynanthus hians illustrates the complexity of plant collecting, and the diverse scientific and aesthetic resources which it produces. All of the specimens represent different ways of preserving and expanding scientific knowledge. Taken together, they locate the root of this knowledge in the skilled, cooperative, and extensive collecting of Burtt and those with whom he worked in the field. They represent plants as sources of knowledge, beauty, cross-cultural relationships, and physical challenges. 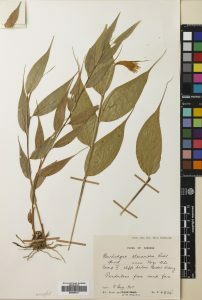 These aspects of collecting are not necessarily evident when glancing at individual herbarium specimens, but they are an essential aspect of science as a lived human activity, and without them the herbarium specimens would not exist. By unpacking some of these physical and emotional ties to herbarium specimens, this project illustrates the human nature of science, and its emergence from the lives, relationships and emotions of real people like Burtt, Martin, and all those involved in their collecting. A Weber and H Noltie, Brian Laurence Burtt (1913-2008) in TAXON 57 (4) November 2008 (1366-1369). Burtt, B. L. Expedition Report 1967. Notebooks and Articles by B.L. Burtt. Royal Botanic Garden Edinburgh Archives, GB235 BBL. Collector:Burtt, Brian L. & Martin, Adam. M.
This work was carried out by Kirsty Kernohan (University of Aberdeen) as part of a collaborative project between the University of Aberdeen, the University of Glasgow and the Royal Botanic Garden Edinburgh. The project “Harvesting Collections for Social and Scientific Benefit: Hidden Stories at the Herbarium of RBGE” was funded by Scottish Crucible.